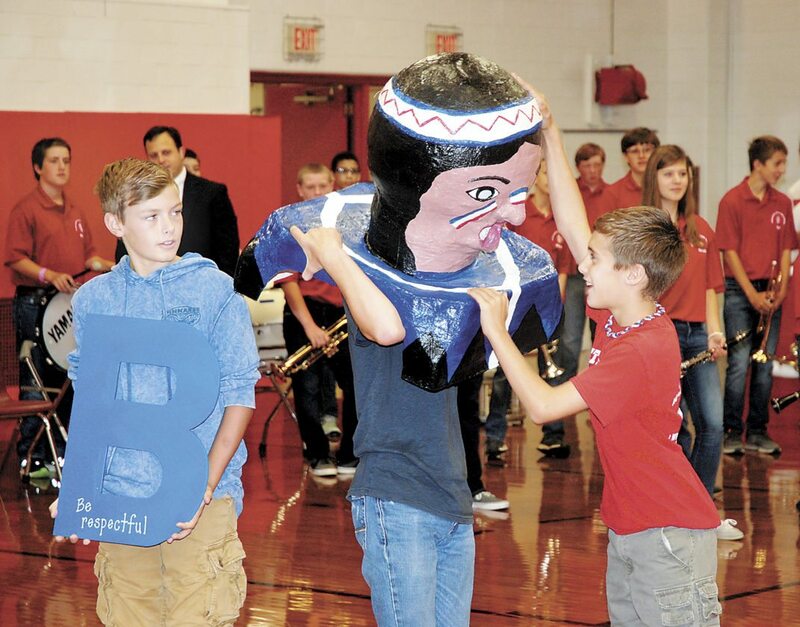 Casey Smith, right, helps Daniel Painter put the ‘Brave Man’ mascot head on while Louden Sheaffer watches Tuesday during a pep rally at Tuscarora Junior High School to kick off the school’s new positive behavior program, B.R.A.V.E. The acronym stands for, be respectful, resilient, accountable, value education and exhibit excellence. Students who demonstrate the good behaviors will be given coins and can earn a chance to attend celebrations each marking period. The school also created a student team to help with activities and give feedback to the teachers to help guide the program. 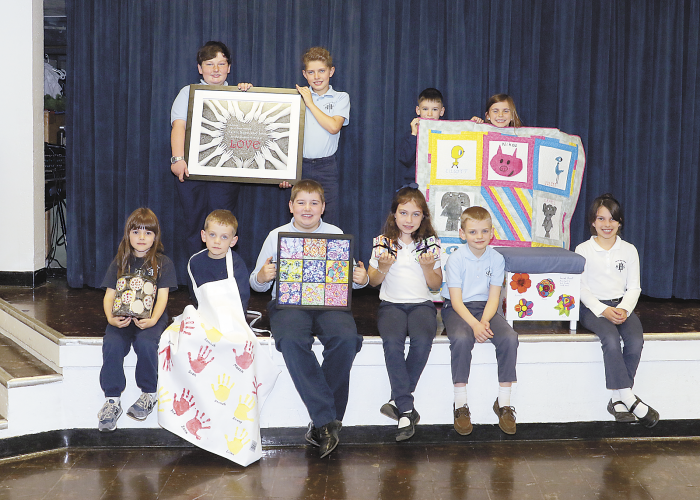 New this year at the school several students will be awarded student of the month in various areas of the school, not just academics, to help highlight kids in all areas. Plus, a daily news broadcast will be uploaded to YouTube, with the students as the newscasters.